Reform Athletica is a boutique fitness studio inspired by the vibrant fitness scenes of New York, London and LA. Located in Dubai’s Jumeirah 1 community – the studio is located perfectly between the urban city bustle and Dubai’s beautiful beaches. If you want to exercise in a welcoming space that is more than just a fitness studio, then Reform Athletica is for you. Reform Athletica is focused on the promotion of fitness at all stages of life, as part of a regular fitness maintenance routine. We deliver fun, body-changing workouts in a motivating environment – keeping class sizes small, so we can focus on every individual. 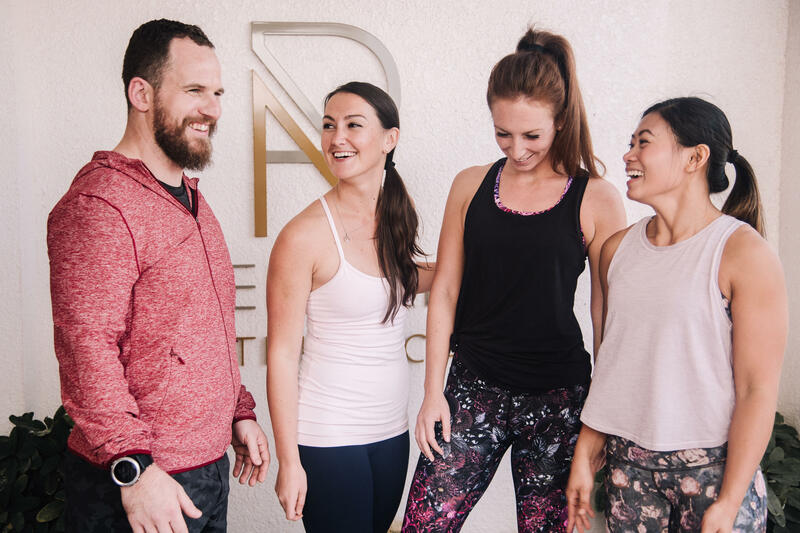 The owners, inspired by their personal experiences and seeing the benefits of regular Pilates and TRX exercise, decided to open their own studio - designed to reflect their vision of the ideal workout space. Our mission has been to create a space that represents and blends all of our core principles: environmentally friendly, culturally enriching and physically rewarding. We are boutique; we are not a gym, and we are not priced like a gym. Our classes are capped at 10-16 people, depending on the class. We have four signature classes: The Reform Method, TRX Athletica, RA Yoga and Kettle Form. Each of our workouts are designed to complement one another - between low intensity, high intensity, stretching, strength and conditioning - we have it covered. Our classes are 50 minutes long and we don’t distinguish between skill levels - beginners and advanced participants are all equally welcome. No prior experience is required for any class; our instructors will modify exercises or demonstrate alternatives to ensure that you get the most out of your session, no matter your gender or level of experience. Our studio has been custom made; it is a cross between an intimate fitness studio and an art gallery. We’ve partnered with local galleries to showcase the very latest talent in the local art scene, as well as displaying some of our own art collections. In an effort to promote our goal of sustainability, we aim to minimise ‘one-use’ plastic consumption: so there are no plastic cups and no plastic bottles, and any bottles offered will be fully recyclable. We have S’well bottles on offer, encouraging our clients to participate in our drive to minimise plastic wastage. Our drinking water will not be delivered in plastic bottles; we will have filtered water instead. These efforts have resulted in our studio being awarded the badge of “Ocean Champion”, the highest level of the Oceanic Standard in recognition of our efforts to adopt a holistic approach to sustainable operating practices with a strong focus on eliminating single-use plastic. Our partnerships are with local home-grown brands that share the same passion and have the same vision of giving back to the community, making a difference and raising environmental awareness in the region.